On Christmas morning a few years back, my brother gifted me with a blood-stained bathrobe, which turned out to be a screen used costume from Quarantine, the 2008 remake of the Spanish horror film REC. The highly unique gift was my introduction to The Prop Store, which houses the largest and most impressive collection of movie props in the world. Not a week has gone by since that December morning where I haven’t spent some time poking around The Prop Store’s website, and browsing through the many new props, costumes and special effects appliances that they add to the shop on a consistent basis. And though I’ve never actually bought anything for myself, you can believe me when I say that it’s got absolutely nothing whatsoever to do with the fact that I haven’t found anything cool enough. 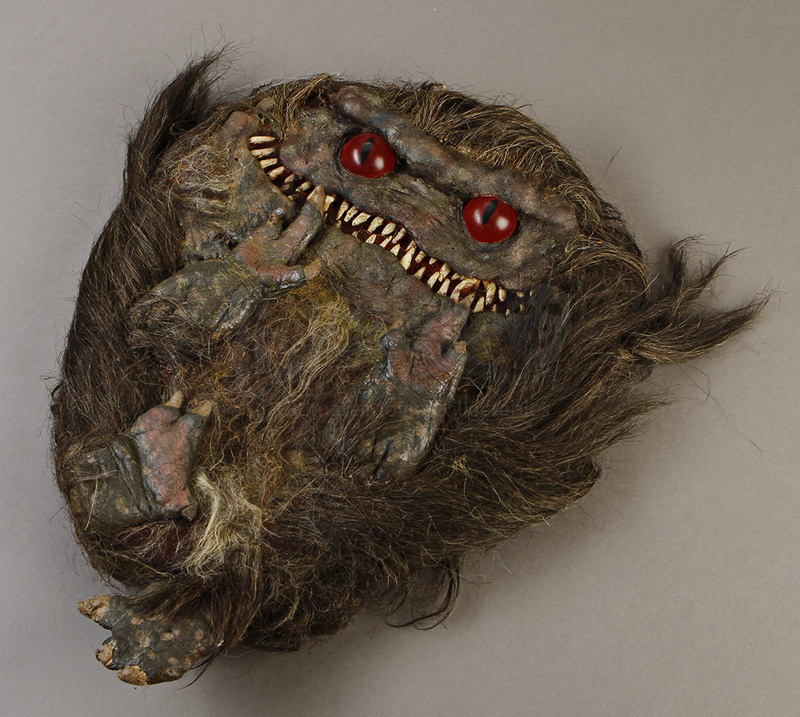 When it comes to horror movie props that would make any fan’s collection infinitely more awesome, The Prop Store is second to none, and today here on Halloween Love we take a look at just five of their current offerings that have me salivating and wondering if I should pull out my credit card and type in those 16 raised digits. You’ll probably be feeling the same way, in just a second… so my apologies if this post ends up costing you a whole lot of money!! Though they’re no doubt mean and vicious little buggers that I wouldn’t want to encounter in a dark alley, I can’t deny that the Crites are at the same time kinda sorta adorable. I also can’t deny that it makes me sad to see one of them get crushed by the tire of a truck, whenever I watch Mick Garris’ sequel. This right here is the Crite that was used for that squishy scene, made primarily of foam latex and faux hair. Even in death, the Crites live on! Speaking of diminutive terrors that are somewhat cute no matter how hard they try not to be, I’d have to say that the titular character from the never-ending Leprechaun franchise also fits that bill. 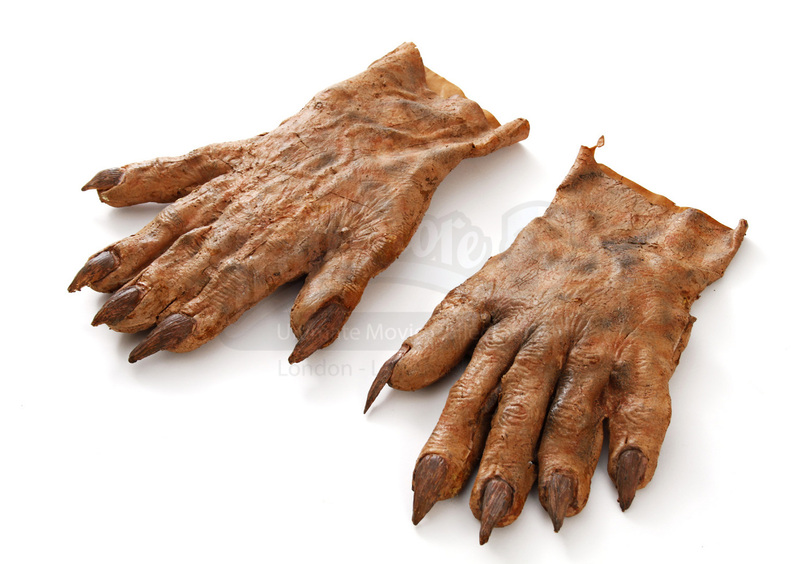 ‘Little person’ Warwick Davis played the character in every film in the series, and these are the gloves he wore in the original 1993 Leprechaun. Willing to bet you can still smell Jennifer Aniston’s regret on these, if you sniff hard enough! Going into The Collection, 2012’s sequel to 2009’s The Collector, I was very excited by the idea of getting to see the Collector’s collection, which the film promised to show. 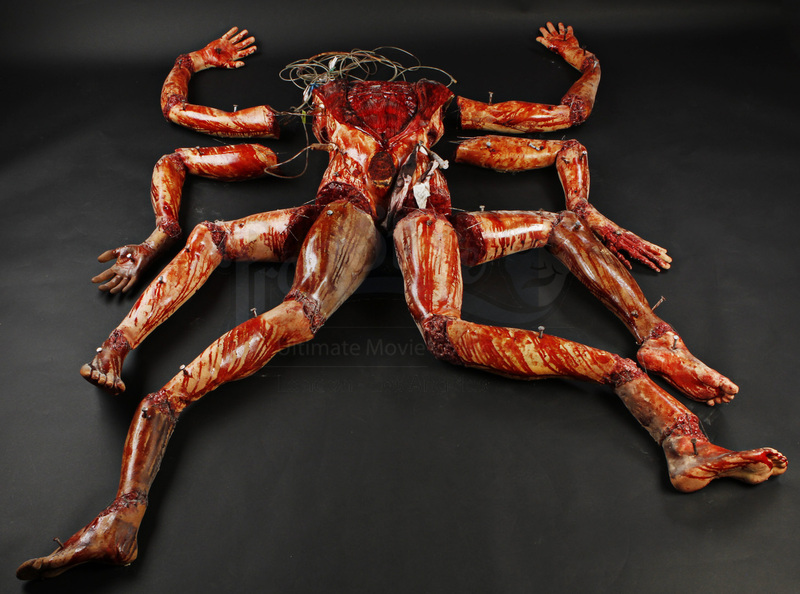 And though we did get to see some of the gruesome artwork he makes out of the human bodies he collects, we unfortunately only really got small glimpses of his creations. A total bummer, considering the effects crew created some incredible props for the film. This is one of them, which was briefly seen hanging on a wall in the Collector’s display room. Just the thing I’ve been looking for, to keep potential guests away from my home. Ah, solitude. Here we have a highly interesting piece of horror history, which many horror fans probably aren’t even aware of. While trying to come up with ways to have Gizmo walk in Gremlins 2: The New Batch, Rick Baker and his team tested out this large size costume, which was to be torn by a small actor. Ultimately, the idea didn’t work out and was completely abandoned, and this awesome prop serves as a historical document of the attempt. 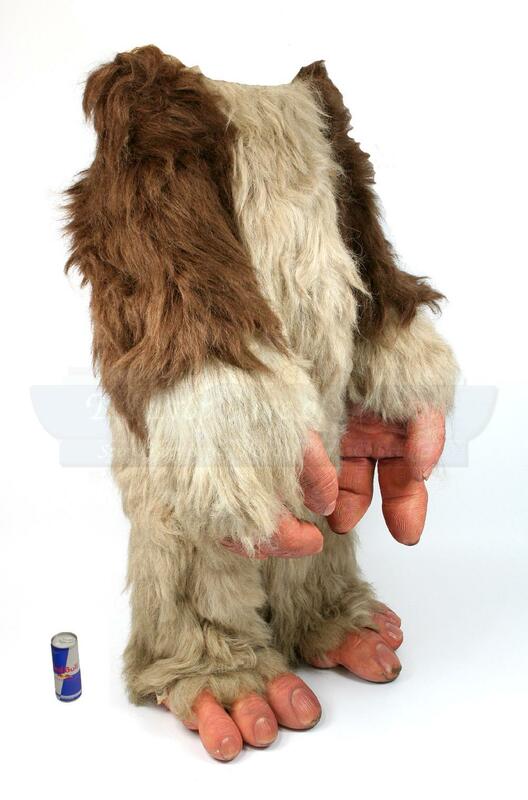 Click the link above, to see a behind the scenes shot of an actor wearing the costume! We round things out today with this highly creepy bust of Carol Anne Freeling, portrayed by the late Heather O’Rourke in Poltergeist and its two sequels. 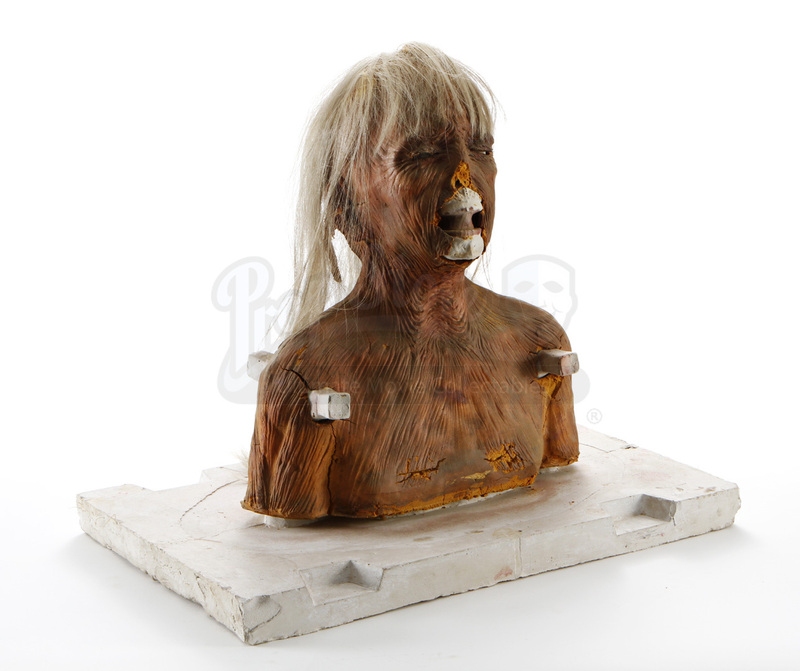 This particular prop is from Poltergeist 2: The Other Side, used in the finale of the film, when Carol Anne nearly crosses into the afterlife. This is a perfect example of movie props giving us an insight into how iconic scenes were actually pulled off, which is one of the reasons I’m so fascinated by them. We’ll be featuring more awesome props here on Halloween Love in the near future, so stay tuned!